Jags’ Offense Big Question on Thursday Night / Have Celtics Figured It Out? Programming note: As advertised, famed sports bettor Alan Boston joined Gill Alexander Wednesday on A Numbers Game — and it was quite a remarkable interview. Watch it all here. 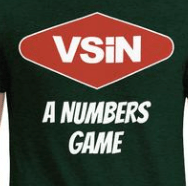 Public service note: Pre-order the VSiN Bowl Betting Guide for $9.99 — $10 off the cover price. Details, including a link to last year’s guide here. Jeff Fogle offers his analysis on the factors you should consider before placing a wager . . .
Prospects are bleak for a big offensive performance tonight from the Jacksonville Jaguars on the road against the Tennessee Titans. Jacksonville (4-8) currently ranks as the fourth-worst “drive point” offense in the NFL. That’s a VSiN exclusive stat that tabulates points scored or allowed on drives of 60 yards or more. Just 9.8 drive points per game this season for the Jags’ offense. Tennessee (6-6) ranks third-BEST on defense, allowing just 11.0 drive points per game. So, we start with an offense that struggles to drive the field for points facing a stingy defense that denies long drives. Then, we throw in the fact that Jacksonville is experimenting with promoted quarterback Cody Kessler, who may not be any better than prior starter Blake Bortles. And…Kessler has a short preparation week for his first road start as a Jag. Last week in Kessler’s Jacksonville starting debut, the Jaguars didn’t score a touchdown in a 6-0 home win over the Indianapolis Colts. The first time the Jags played Tennessee…back in Week 3 with Blake Bortles…they couldn’t score a touchdown in a 9-6 home loss. There are many similarities in those two games beyond six points on the hometown scoreboard. With Bortles, the Jags gained 232 yards on 4.1 yards-per-play vs. the Titans. With Kessler, 211 yards on 3.9 YPP vs. the Colts. The team passing line with Bortles was 21-34-0-145 (dinks and dunks), 18-24-0-132 with Kessler (same). Bortles was benched because he was performing too much like a backup deep into what was supposed to be another playoff season. Is Kessler the answer, or just another anvil? Worth noting that betting markets are more positive on Jacksonville’s overall outlook this week. Last Sunday’s line of +4 at home vs. Indianapolis looks pretty insane in retrospect. Thursday’s line should close around +4 on the road at Tennessee. If you assume 3 points for home-field advantage, “the market” was saying the Jags were 7 points worse than the Colts on a neutral field, now just one point worse than the Titans on a neutral field. Using VSiN’S estimated “market” Power Ratings scale, last week’s point spreads suggested this for the AFC South: Houston 82, Indianapolis 81, Tennessee 79, Jacksonville (with Kessler) 74. This week, it’s looking more like: Houston 82, Indianapolis 80, Tennessee 79, Jacksonville (with Kessler) 78. Has the market followed one overreaction (Jags in the tank) with another (Jags will be fine!)? Kessler will prove himself a deserving starter if he can consistently find the end zone in this road challenge. Game preview and track line movements here. Are the Boston Celtics finally getting things figured out? Big question for sports bettors heading into Thursday night’s battle between Boston and the New York Knicks (TNT, 8:05 p.m.). One of the giveaways through the first third of the season that Boston HADN’T figured things out was that they looked so bad against the Knicks. Oct. 20: Boston (-9.5) only beat New York 103-101 in the Garden. Nov. 21: Boston (-14) lost at home to New York 117-109. That’s 0-2 against the spread, missing the market by 7.5 and 22 points. Boston had several “bet against” scenarios out of the gate that had been easy to spot. The sluggish Celtics had trouble covering as medium or large favorites (1-5 ATS its first six tries at -8 or higher), and on the road vs. the Western Conference (1-5 ATS its first six tries as well). In its last three games, Boston busted out of those tendencies with a fury . . .
Nov. 26: Boston (+2.5) routed New Orleans of the Western Conference on the road 124-107. Anthony Davis played 37 minutes for the Pelicans, so the Celtics weren’t catching injury luck. Nov. 30: Boston (-12.5) clobbered Cleveland 128-95. No calling off the dogs here in a cover of more than 20 points. Dec. 1: Boston (+2) won at Minnesota of the Western Conference 118-109. The Timberwolves had been in great form prior to that result (four in a row straight up and against the spread), and followed the loss up with a 12-point win over Houston. That’s slaying two dragons and stomping on a lizard in advance of a revenge spot against the visiting Knicks Thursday. Some bettors will already have taken that stretch as a “go” sign for betting Boston. Should the Celtics win easily on TNT, this bounce back may go on a while longer. Game betting preview and track line movements here. No. 1 Gonzaga holds off Washington 81-79 to stay undefeated: View From Vegas is the Huskies covered as 16-point road underdogs. Lakers beat Spurs 121-113: View From Vegas is the game pushed on the consensus closing line of Lakers -8. Went Over 226; NBA favorites went 10-0 SU on Wednesday, 8-1-1 ATS with Lakers’ push and Thunder non-cover; Overs 7-3. "The Chargers are the top team in the league on a play-by-play basis." Point Spread Weekly editor Steve Makinen discusses his NFL power ratings. Makinen also previewed some great content from this week – college hoops teams outperforming their power ratings. Great value on these teams. As we anxiously await the CFB Playoff, Joseph Lisi joins Gill on A Numbers Game and gives his initial breakdown of the semifinal matchups. Matt Youmans gives his take on the Jaguars-Titans matchup explains why betting AFC South games is like a "hound’s breakfast." NFL Network reporter Aditi Kinkhabwala joins Brent, Vinny and Amal to break down Steelers-Raiders and shares some key info regarding Pittsburgh’s history of traveling out West. The Early Odds podcast with Joe Ostrowski: Three sides and a teaser from Joe and thebiglead.com’s Vik Chokshi. The guys had 16 games/32 sides to choose from and both of them landed on the same team for two of five units. $100 bonus offer from Xpressbet: Sign up for a new Xpressbet account with promo code BRENT100. Your $100 bonus will be deposited into your account within three days after you bet your first $100. The first 25 VSiNners who sign up with that code and place at least one bet will receive an Xpressbet hat (like the one Brent has been wearing). Go here to sign up. Best Egg: Personal loans made fast and easy at BestEgg.com. We have "show shirts" for Follow The Money, A Numbers Game, The Edge, My Guys in the Desert and Betting Across America. Browse the full store here.